Maybe some people just aren’t meant for social networking. Sean Spicer, the man in charge of delivering White House news to the public, for example, should perhaps think about taking a step back after his latest Twitter gaffe. On Thursday, an eager Spicer took to Twitter to announce President Donald Trump’s new secretary of the department of Housing and Urban Development, former presidential candidate Ben Carson. “The Senate confirmed @realDonaldTrump as the next Secretary of @HUDgov,” referring to a senate vote that chose Carson with 58 votes to 41. @PressSec@RealBenCarson@realDonaldTrump@HUDgov Wait, so Don isn't gonna do that job like you mentioned earlier? 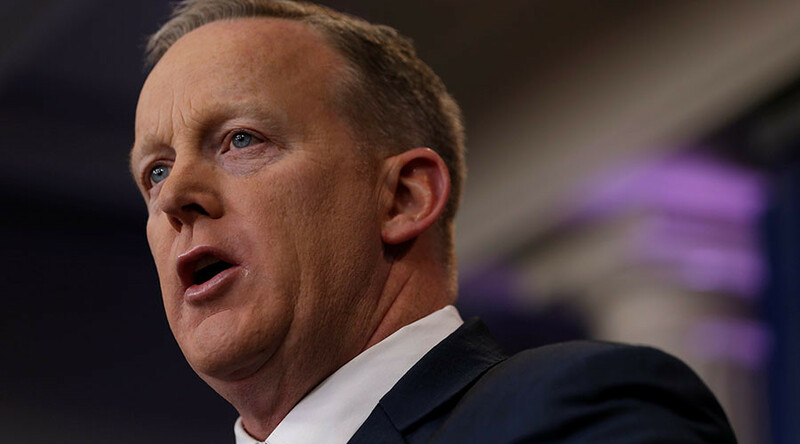 Spicer’s Twitter antics have been criticized in the past after he allegedly tweeted out his password, and for commending satirical website The Onion for “nailing” their synopsis of his ‘true’ purpose as press sec.